One has heard, read and seen countless tales of Netaji Subhash Chandra Bose, especially around his killing in a plane crash. However, that is not really the case with the mysterious death of Late Prime Minister Lal Bahadur Shastri. In that aspect, director Vivek Agnihotri deserves to get good credit for the mantle that he has picked up. This is a kind of film that could well shake up a can of bees for the sheer audacity with which it challenges the status quo and makes one wonder why one of these biggest mysteries has been forever left untouched for decades. The film is told from the point of view of a journalist, very effectively played by Shweta Basu Prasad. As someone who is hunting for a scoop, she gets the biggest of her life when an unknown caller lends her a few clues that could open the Pandora’s box around Lal Bahadur Shastri’s sudden death in Tashkent after a major political development. Soon, there is a committee set up by reigning power supremo Naseeruddin Shah who appoints opposition leader Mithun Chakraborty to chair the show while being supported by other important people in the know how of the historic tale. This leads to a set up which reminds of 12 Angry Men (and it Hindi remake Ek Ruka Hua Faisla) as verbal blows are exchanged between the likes of Mandira Bedi, Pankaj Tripathy, Pallavi Joshi and Rajesh Sharma amongst others, even as one layer after another is explored around what happened that fateful night. The good part about the narrative is that it moves ahead as a thriller. So on one side you want to know whether the late Prime Minister was poisoned or he died a natural death, as on the other side you are intrigued about how KGB and CIA too were possibly involved with several bigwigs from the Indian political arena being brought into the conversations as well. Clearly, there is a lot of research that has gone into bringing several facts into the narrative and that is what makes The Tashkent Files interesting despite its length that goes well past the two hour mark. Of course this is not the kind of film that is everyone’s cup of tea. You can’t expect a family of four to be making that beeline for the film and then munch into their popcorn and sip some cola as the mystery unfolds. This is more for a discerning viewer, the kind that likes to be attentive right through all the sequences and stay patient enough when the narrative turns dry and educative at times. Yes, there is entertainment quotient in there as well but primarily the film is informative and enlightening. What makes the film go a notch up are the performances. Shweta Basu leads the show and she is terrific right from start till the end. She needs to be seen more often on the big screen. Mithun Chakraborty munches into a part which is really meaty and perhaps his best since Mani Ratnam’s Guru. 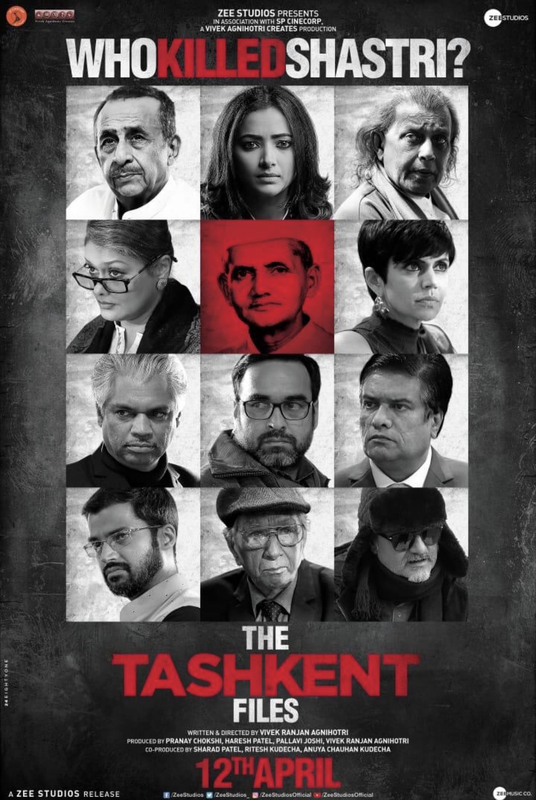 Rest of the cast fills in the blanks and is effective for the playing duration, though one would have expected more contribution from Naseeruddin Shah and Pankaj Tripathy. That said, the film is interesting for what it is than what it is not, and this is what makes it special. Go, watch it as it would throw in many questions, the answers to which are possibly difficult to come by in near future as well.